Equity Residential offers beautiful Solana Beach apartments located in a beautiful ocean front area of Northern San Diego. Our Solana Beach apartments are close to the historic 101 and I-5. You can live just minutes from the beach, yet live close enough to major interstates to commute to Downtown San Diego or Del Mar. 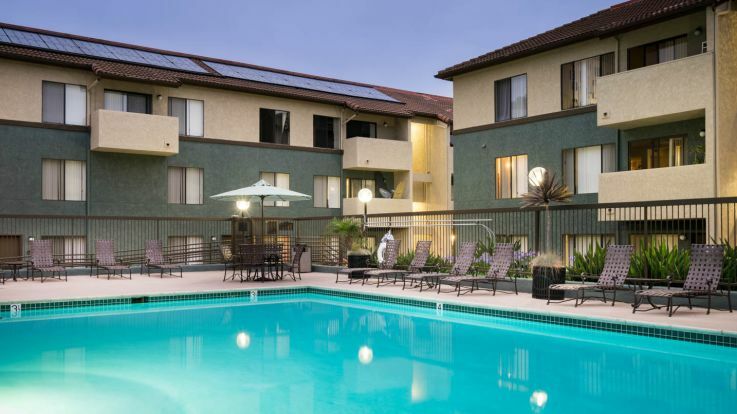 Our Solana Beach apartments are located close to La Colonia Park, Del Mar Fairgrounds and Race Park, Solana Beach Towne Center, Del Mar Shopping Center, and the famous Eden Gardens. All of our Solana Beach apartments offer great amenities and values to accommodate every lifestyle and budget. Our communities feature a fitness center, pool, and spa. Garages are also available for rental. Our Solana Beach apartments offer tradition studio and one bedroom apartments as well as upgraded two bedroom apartments with new Whirlpool appliances, modern white cabinetry, and upgraded counter tops. Our Solana Beach apartments are sure to fit your every need; however, if our Solana Beach apartments do not fit your needs, please take a look at our other available apartments in San Diego, CA.